specialising in website design, graphic design and high-quality printing. You guessed it: we make websites! Not just any old websites though – they’re lean, mean, marketing machines that produce tangible business results for our clients. Also specialising in high-quality printing and graphic design, our clients benefit from a range of integrated services that give their businesses a great head-start. A self-confessed team of creative geniuses, we’re obsessed with soaking up all the new technologies and opportunities graphic design and the web has to offer, ready to squeeze every last drop of expertise into your new website or logo. From small start-ups to sole traders through to retail outlets and industrial suppliers, we work with a wide range of different businesses with different requirements – and budgets. Whatever you’re looking for, we will always deliver effective design and measurable results for your business. In short, we’re like a full service design agency, only without the hassle – or the over-inflated prices. Not only that, we’re proud of the personal touch we offer our clients, so when you work with us, you’ll always speak to the same people, whatever your enquiry. 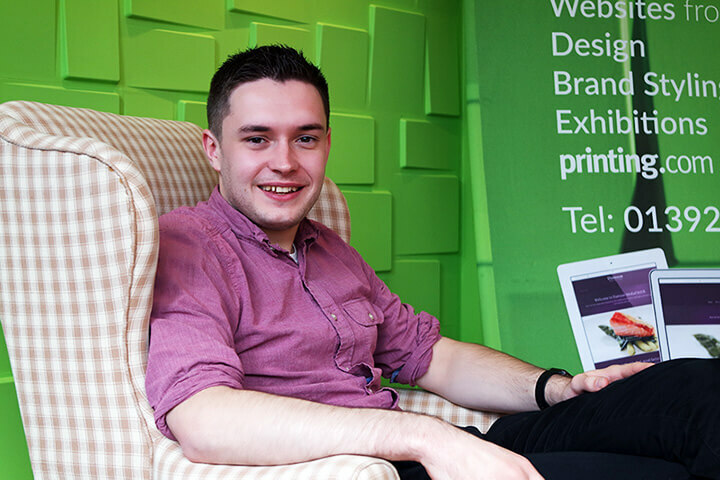 Ashley owns and runs Nettl of Exeter and loves to help local businesses promote themselves through high-quality print and graphic design, plus assist them with gaining new clients and most importantly retain their existing ones. 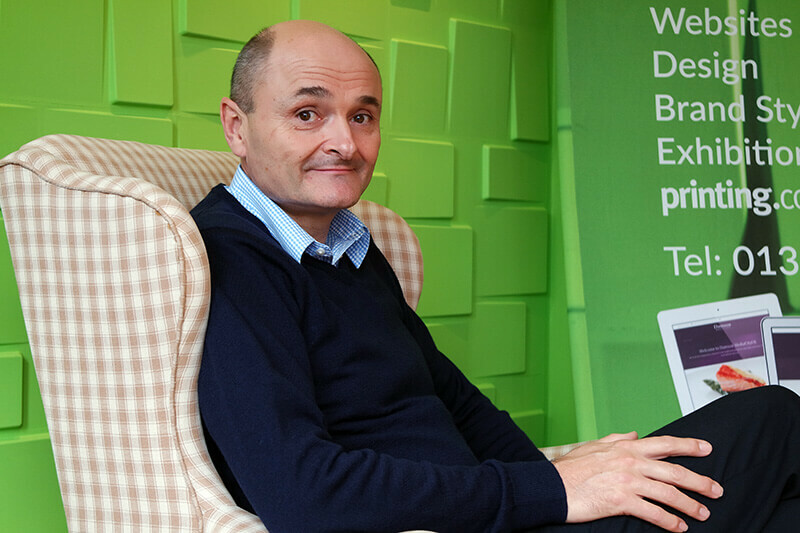 His infectious enthusiasm and passion for outstanding customer service is renowned and his standards are so high it’s a good job he’s quite tall! A self-confessed Apple geek (and that’s definitely not the fruit), he feels naked without his Apple Watch and can often be found walking along the street talking to his wrist. Fact: If you’re in a hurry don’t mention tennis or Manchester City FC! A very proud Cornishman in Devon, Tom’s gusto for all things web can seem a bit sad to normal folks. He relishes every opportunity to apply his skills to generate clean and professional brand identities for all types of businesses. Tom has a bit of a thing going for perfect typography – you have been warned! A dedicated Apple fan, it can get a bit geeky at times in the studio for mere mortals. Fact: Tom cannot refuse a chocolate cookie! With a great sense of humour, Jessica keeps the team uplifted with her many quirks. She loves the wide variety of clients that we deal with here and is always motivated to communicate clients’ messages in the most successful way at the best price. Jessica has a great eye for design so she’s your girl if you need your logo jazzing up or your brochure updating. Fact: Don’t mention the air conditioning unit settings to her! Wendy has an extremely keen eye for detail and is the go-to person in the studio for proof reading your booklets and brochures. 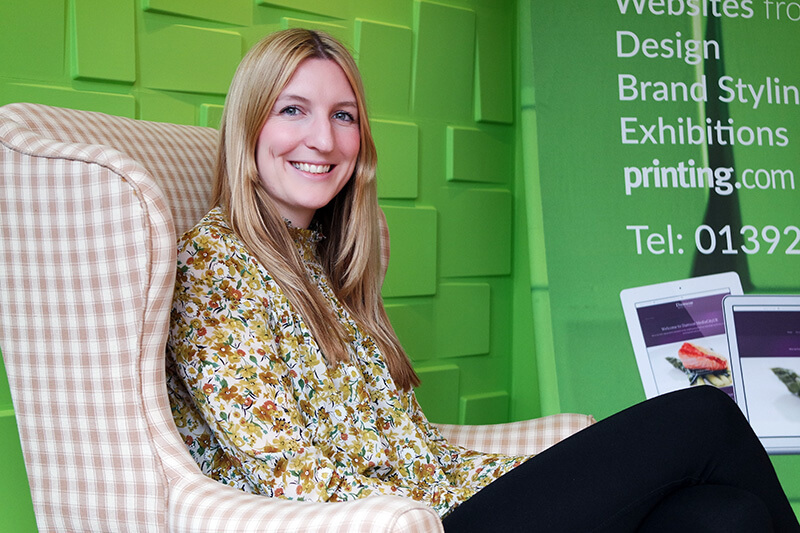 She enjoys working with all kinds of businesses, helping them with engaging content plus relishes the chance to provide Ink on Fabric, printed exhibitions and displays. 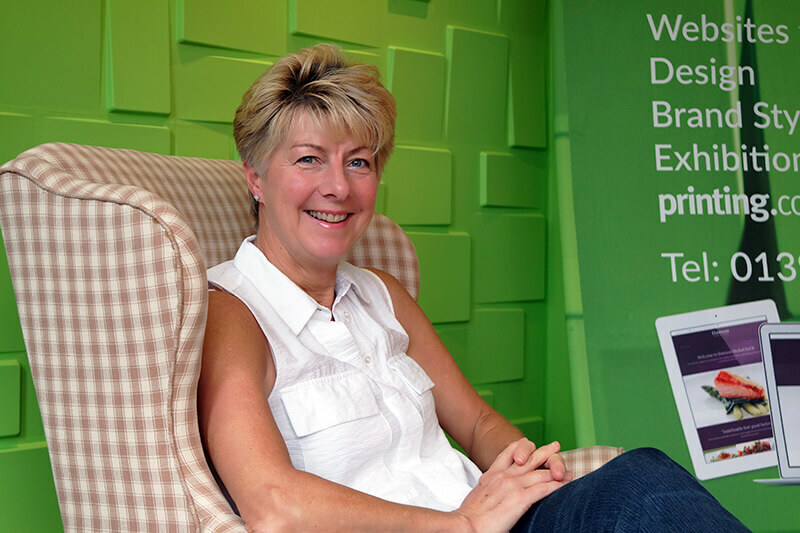 If there’s a networking event going on in or around Exeter, you may well bump into her there. Fact: Easily wound up by incorrect use of stationary and stationery plus really get her going with logo’s instead of logos! So now you’ve heard our story; we’d love to hear yours. © Nettl of Exeter 2019. Providing web design, logo design and graphic design in Exeter, Devon and Cornwall.